Ph.D M.D. M.E /M.Tech. M.Sc. B.E /B.Tech B.Sc. B.Sc. (Hons) Diploma M.B.A B.B.A M.D.S. B.A. (Hons) Dual Degree M.S. M.A. B.Des L.L.M M.P.T. B.Com(Hons) M.Arch B.C.A. B.Pharma M.B.B.S. M.Des B.A. B.A. L.L.B B.Arch B.B.A. L.L.B B.Com.L.L.B B.D.S. B.Ed. B.Optom B.P.T. B.V.A. M.C.A. This College is accredited by NAAC B (National Assessment and Accreditation Council) validity is 15 Sep 2021 and the score is 2.4 . Being a student of Sharda, I have been here for about 3 years and I feel these are the best time of my life. I chose Sharda University as it is one of the best private University in India consisting students from 55+ countries, so it has really good international exposure as we are able to interact with different nationalities and learn something about them. 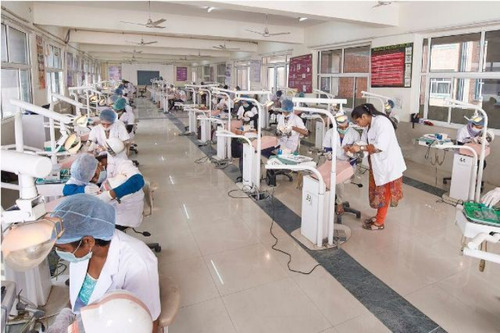 moreover, Sharda has best infrastructures and faculties are very much supportive in every possible way. We are being provided with different training and seminars so as to build a professional personality. 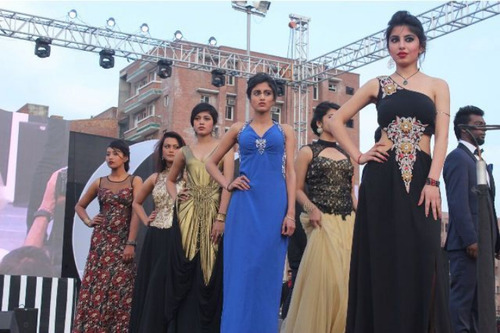 Every year students work hard along with university to organize fests like Chorus and Contrivance which provides the platform for students to showcase their talents. Sharda University is a 64-acre multidisciplinary campus having international student from 56+ countries. Though the admission fee is a bit high but it is reasonable as you get proper facilities. It's a good college with a lot of opportunities for the students in co-curricular areas. It is a bit far from metro stations but has no transportation issues. All the faculty members are very skilled and cooperative. The environment is happening yet studious. I just feel spending the maximum time with friends in our small world i.e. Sharda University. Okay I have to say that the campus is very beautifully built from Classes to Labs & Hostels to management Building! Everything is quite beautiful. Food services are also very good! As for the placement it is average with some good companies coming for Recruitment every year. Go for it if you want to live in a good city & you are out of options! I want to do ug with geography.is it possible. 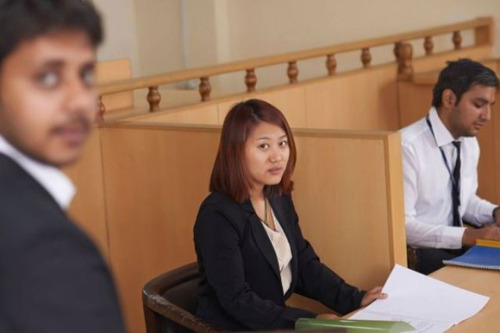 What is the minimum marks required in NEET for Sharda University for UP girl students and is it a good University for MBBS? Can I still apply at Sharda University? What is the last date of submission of admission form at Sharda University or any private college? 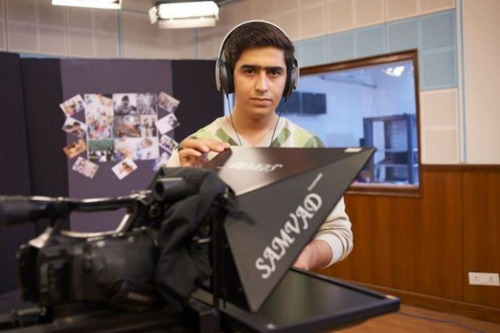 Is SHARDA UNIVERSITY CAN BE CONSIDERED FOR ENGINEERING? IS IT WORTH THE MONEY? 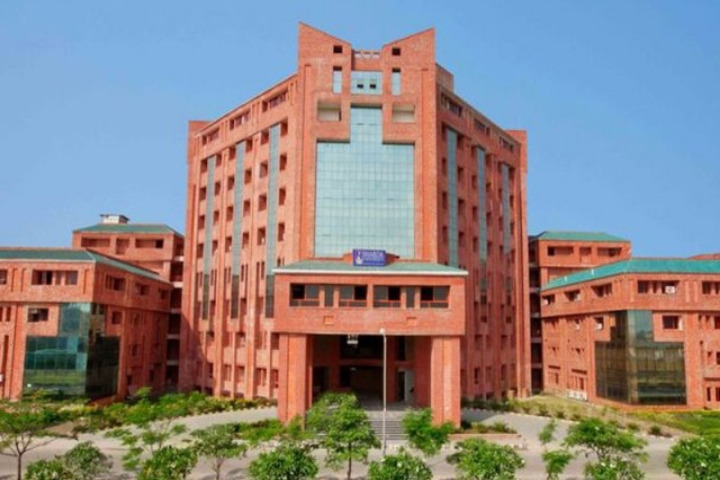 Sharda University M.Tech 2016 Application Form Available Now! This College is accredited by NAAC (National Assessment and Accreditation Council) B validity is 15 Sep 2021 and the score is 2.4 . Boys Hostel :Students, coming from all over India, get exposed to different religions and customs . We pamper students by providing amenities and groom them to manage their routine independently, tuning students to the real aspect of life, however letting them enjoy the comforts of reading newspapers and books, providing them nutritious vegetarian and non vegetarian food, safe drinking water, round the clock water supply etc. thus giving them a feeling of being at home. Separate AC/Non AC hostel for boys and girls with furnished rooms are available for more than 3200 students, in single/double/triple sharing and six seated dormitory for Nursing Students. Hostel rooms are allotted on first come-first serve basis and subject to availability. Girls Hostel :Students, coming from all over India, get exposed to different religions and customs . We pamper students by providing amenities and groom them to manage their routine independently, tuning students to the real aspect of life, however letting them enjoy the comforts of reading newspapers and books, providing them nutritious vegetarian and non vegetarian food, safe drinking water, round the clock water supply etc. thus giving them a feeling of being at home. Separate AC/Non AC hostel for boys and girls with furnished rooms are available for more than 3200 students, in single/double/triple sharing and six seated dormitory for Nursing Students. Hostel rooms are allotted on first come-first serve basis and subject to availability. 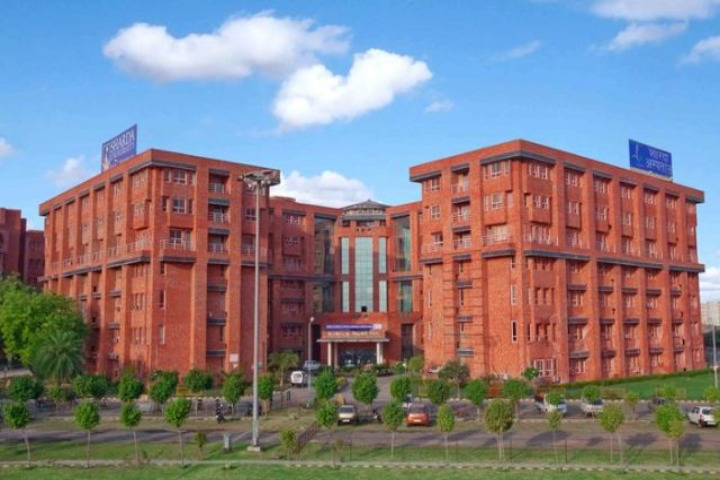 Medical/Hospital :Students of Sharda University have access to medical facilities within the campus as University has a world class 900 bedded hospital with all modern medical facilities such as General Medicine, ICU, Trauma centre, 3 Tesla MRI, CT Scan, ECG, X-Ray and Laboratory Investigation. Health insurance cover for all students is one of the additional services under active consideration. Gym :A healthy mind resides in a healthy body. 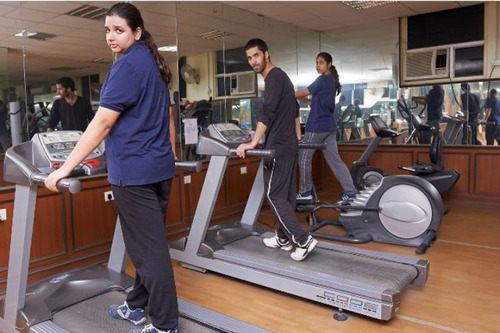 A well equipped Air-conditioned gym having latest state-of-art equipment and machines has ensured availability of excellent fitness and health facilities for the students, faculty and staff members of the University. Instructors and trainers are available throughout the day to train the gym enthusiasts. There are two sections in the gymnasiums. One section is meant for general exercises while the other is meant for weight training. There are separate timings for boys and girls. 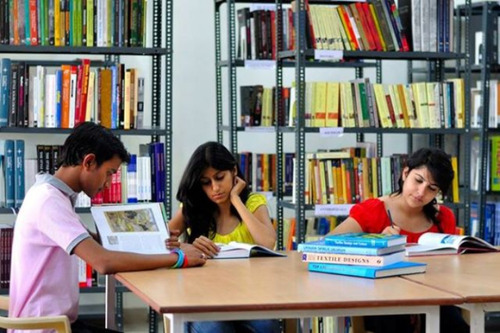 Library :Synonymous with the abode of knowledge, the six libraries for thirteen schools at Sharda Universities are stocked with the lakhs of books and thousands of journals to propel the wisdom growth of the students. These libraries are frequently updated with new books and other useful study material for the students from diverse streams. At present the libraries of thirteen schools are located at six places. These libraries have a collection of over 1.3 lac books with ~20000 titles, 242 subscribed print journals, magazines and newspapers. More than 5200 full-text journals in subscribed e-resources and 5000 open access journals are available in our on-line database. The non-book materials collection includes CDs and other electronic devices. 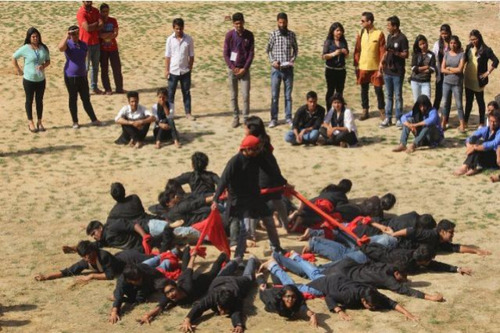 Sports :The campus at Greater Noida is the most versatile campus with various activities and sports events conducted throughout the year. The students have access to various sports facilities such as basketball, badminton & tennis courts, football, hockey and a cricket field. Students can also benefit from professional coaching available inside the campus. I.T Infrastructure :The University recognizes the key role that IT plays in teaching as well as research. Therefore, it is committed to provide computing facilities of the highest standards. A high-speed optical fibre network of 1Gbps through two ISPs with wireless redundancy allows all students to access a range of services across our entire campus including student hostels with more than 200 access points. Cafeteria :Sharda University adopts special measures to ensure that the students are provided with healthy and hygienic food. There are about 10 cafeterias located in different blocks of the campus. The cafeterias and other eateries function on the 'Pay as you eat concept'. Apart from cafeterias, the campus also holds mini refreshment joints and Vending Machines etc. Sharda University provides its students all the amenities and facilities to enjoy the fast paced metro lifestyle right within the campus. Leading Restaurants and Food Chains would open their outlets in the Central Food Court soon. Lego House, Amul Milk Parlour, Urban Thali, Café Coffee Day, Nestle are already running their outlets on the campus. Auditorium :he University has many Auditoriums and Seminar Rooms equipped with the latest audio visual facilities for guest lectures, seminars, presentations, and other academic activities. Besides, every school has a Conference/Board room for meetings, faculty presentations, and discussions. Transport Facility :The University runs a fleet of buses to facilitates its students and staff to commute to and from various places in Delhi, Noida and other NCR areas. All buses are deluxe and high capacity. The University provides transportation from villages as well as cities. The transport facility is provided within a radius of 90 km. Public transport buses also ply to points near the campus. Wifi :The campus has a seamless Wi'Fi network with more than 1 Gbps leased line with multiple ISPs which allow the students to connect to net anytime, any where! We have a campus LAN, with Learning Management System to facilitates students to discuss academic topics, submit their assignments online, see their class notes, study through specially designed learning resources and also refer to reference and digital library. The campus Cafes, the outer spots with relaxed & comfortable seating allow the student to complete their assignment after the classes and submit it to the teacher online within the stipulated deadline. For a student conscious of his future, the campus allows all avenues to explore the technology solutions that the university offers. 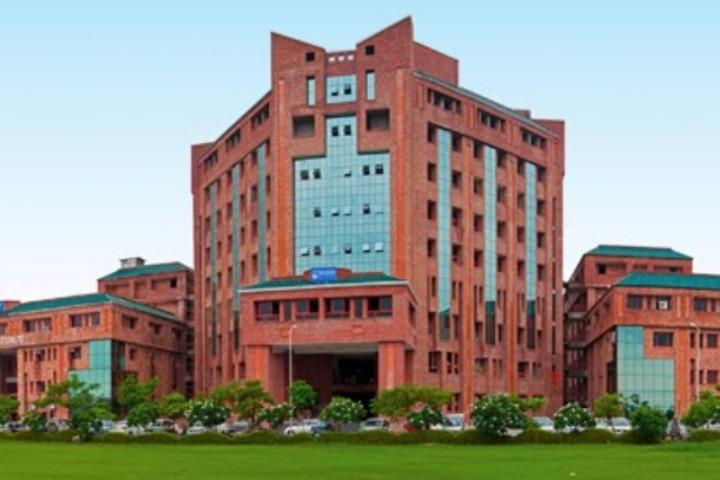 Laboratories :Sharda University has excellent laboratory facilities for carrying out teaching, research and consultancy activities in various disciplines of engineering, medical, dental sciences and mass communication. 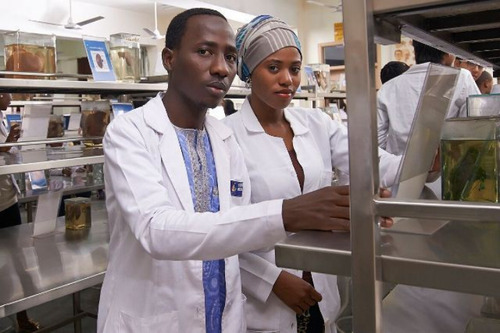 The University has state of the art labs that allow the students to experiment and bring to practice what they have learnt in theory. Classrooms :The Teaching-Learning pedagogy used in the classrooms is IT enabled and all classrooms are fitted with LCD projectors and sound systems. The lecture halls can accommodate upto 200 students while the tutorial classes are designed for a strength of 30-40 students. 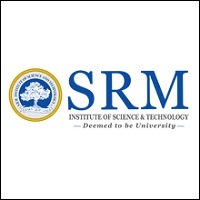 We have a LAN-enabled campus, on which a Learning Management System(LMS) is made available, which can facilitate students to discuss academic topics, submit their assignments online, see their class notes, study through specially designed learning resources, and also refer to reference and digital library.